Vandals damage South Street store. Sarah Bloomquist reports during Action News at Noon on March 11, 2019. 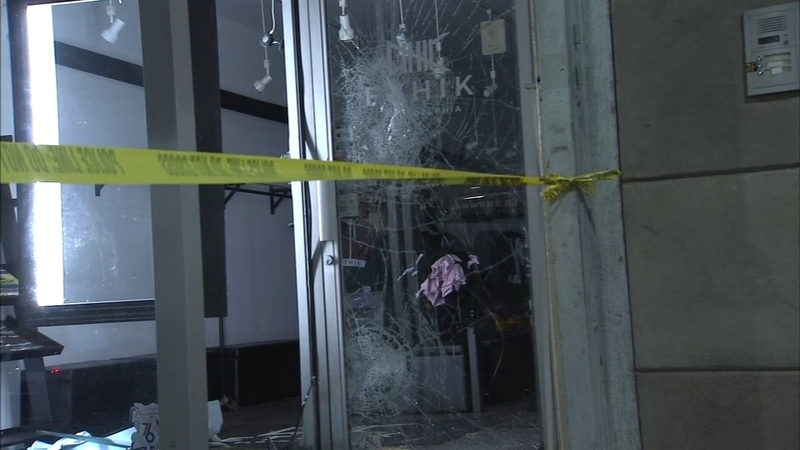 SOUTH STREET (WPVI) -- Philadelphia police are looking for the vandals who caused a lot of damage to a store on South Street. The inside was ransacked and clothing strewn about. Police taped off the sidewalk. They are looking at surveillance cameras in the area in an effort to identify the suspects.